Recently, some friends queried me about the alleged apparitions known as “Rosa Mistica” (Mystical Rose). From their questions, it seemed to me that there is a growing interest in the English-speaking world in Rosa Mistica. I decided to devote myself to some research and to write an article summarizing the information. What follows is the fruit of that research. The local Ordinary, with the backing of the Holy See, declared the Rosa Mistica claims to be lacking in credibility. They do not come from God. Promoting the claims as if they were from God is disobedience to the directives of the Church. 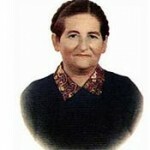 In 1947, an Italian woman named Pierina Gilli claimed the Blessed Virgin was appearing to her. 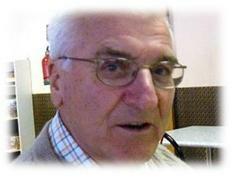 At the time, Gilli was living in Montichiari, located in northern Italy. Montichiari is not far from the city of Brescia, the seat of the Diocese of Brescia. Pierina Gilliliving in Montichiari, located in northern Italy. Montichiari is not far from the city of Brescia, the seat of the Diocese of Brescia. 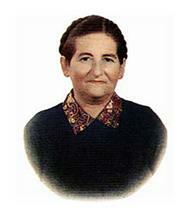 Throughout 1947, Gilli claimed at least 7 apparitions of the Blessed Virgin. 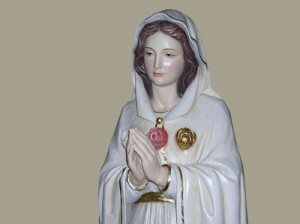 During the second “apparition,” Gilli claimed Our Lady requested she be venerated under the title of “Mystical Rose.” It was said the “apparition” included three different colored roses (white, red and yellow) on or near the heart and that these represented prayer, sacrifice and conversion/penance. The purported messages following the above image largely, though not exclusively, concerned the condition of the religious life and clergy. An alleged secret was communicated to Gilli and a promise of later “apparitions” that were said to have taken place in 1966 in a city named Fontanelle. These latter alleged apparitions included a claim to miraculous water and directions concerning some wheat to be used for Holy Communion. The Montichiari/Fontanelle claims and the devotion that arose in response appear to have been taken seriously by the Diocese of Brescia. According to the Chancery Office of the Diocese of Brescia, there have been a number of official documents related to the Montichiari/Fontanelle claims. It appears there have been about six in number spanning a 40-year period (1968-2008). The first three documents in the above time-frame do not seem to be available in full text via the Internet. The latter three, however, have been furnished and one appears to quote the important parts of the earlier documents. Announcement of the Brescia Episcopal Curia, dated June 30, 1968. Announcement of Bishop Luigi Morstabilini, dated November 25, 1975. 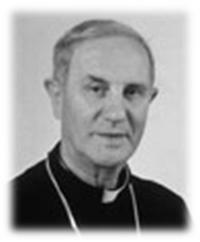 Declaration of Bishop Bruno Foresti, dated October 15, 1984. 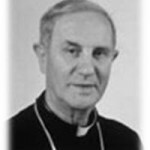 Declaration of Bishop Bruno Foresti, dated February 19, 1997. Directory of Don Piero Boselli, dated May 5, 2001. Decree of Bishop Luciano Monari, dated 19 March 2008. 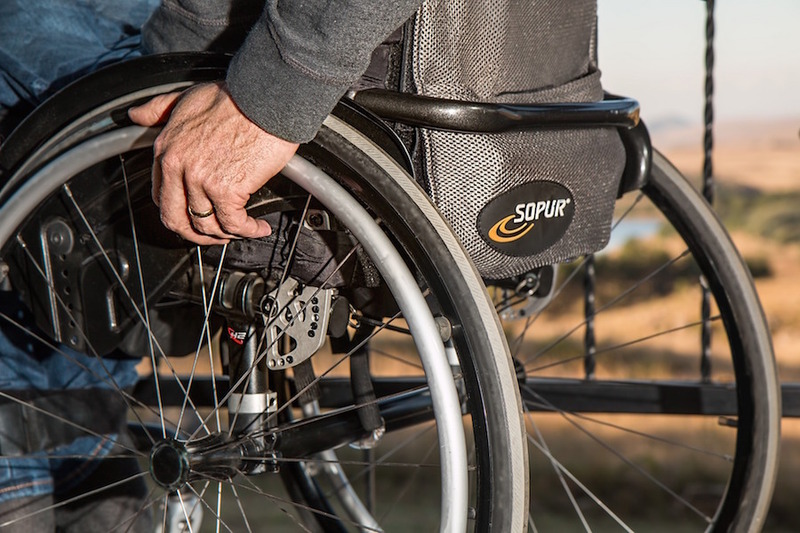 Let us briefly look at what the above documents say so as to understand what the directives of the Diocese of Brescia have been with respect to the claims of Pierina Gilli. The fourth document, dated February 19, 1997, is the first of the available documents. However, this document is not reproduced on the official documents provided by the Diocese of Brescia web site. The purported text has been made available by British author and researcher Donal A. Foley. Foley claims to have the text of the Declaration and placed this text on his web site, Theotokos, in both Italian and English. It cannot be established from the official Diocesan papers whether or not Foley exactly reproduces the February 19, 1997 Declaration of Bishop Foresti. However, a review of Foley’s materials with what does appear in the official Diocesan papers indicates Foley was faithful to the 1997 Declaration. [From the Announcement of June 30, 1968] The Bishop strongly urges all the faithful who claim to respect the directives of the Church not to encourage (“favorire”) or with publications or pilgrimages the spread of devotions that are founded on a non-approved interpretation of facts or objectively tested (“controllati”) or evaluated responsibly. [From the Announcement of November 25, 1975] The Bishop renews the firm invitation to the faithful and priests because in the subservient acceptance (“ossequiente accettazione”) of previous decisions [they]know how to find in other sanctuaries and places recognized by the Church the best way (“la forma migliore”) to express the requisite and necessary devotion to the Mother of God in the most authentic contents of the faith and of Catholic spirituality. [From the Declaration of October 15, 1984] The Bishop of Brescia, comforted by the authoritative opinion of the Sacred Congregation for the Doctrine of the Faith, conveys that: a) the so-called apparitions of the Madonna Rosa Mistica in Montichiari do not present motives of credibility; b) The relative cult to the Madonna Rosa Mistica, therefore, is not approved and cannot be practiced or encouraged (“favorito”); c) Anyone who favors spreading publications or organizing pilgrimages cannot help but disturb the faith of believers, inducing (“inducendoli”) them to act contrary to the dispositions of the Church. From the above schema of documents, a progression of events is seen. The 1968 Announcement warns the faithful that the Church has not approved the claims. Therefore, says the document, the faithful should not promote the Rosa Mistica claims. No statement on the character of the claims was made. Next, the 1975 Announcement reiterates the 1968 Announcement. It does, however, go one step further to direct the faithful to other places to practice piety and devotion to the Mother of God. Again, no statement on the character of the claims was made, but the investigation thus far does not appear to favor a positive judgment. Finally, in the 1984 Declaration, an authoritative judgment is given—the Rosa Mistica claims have not rendered sufficient evidence to prove the claims have their origin in God. The Bishop also indicates in this Declaration that he consulted with the Congregation for the Doctrine of the Faith in Rome and that it is in agreement with his position. 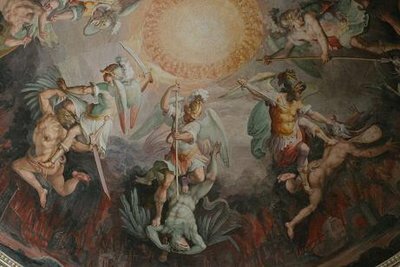 For the next 13 years, it appears that questions concerning the status of the Rosa Mistica claims continued to be posed to the Archdiocese of Brescia. This compelled the Bishop, Bruno Foresti (the same Bishop who signed the 1984 Declaration), to issue a further Declaration on February 19, 1997 that reconfirmed his position of 1984. 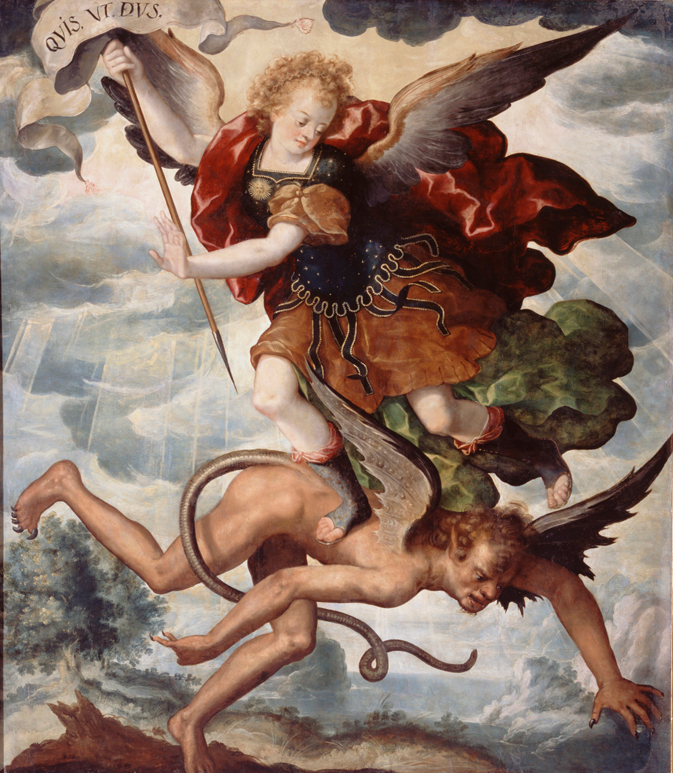 The negative judgment was reconfirmed and along with it the warning that promotion of Rosa Mistica was outside of official Church directives on the matter. The fifth document in the above succession concerns Diocesan directives for regulating the liturgical and devotional life in Montichiari/Fontanelle. The Directives were issued by Don Piero Boselli on May 5, 2001. From the Diocesan web site, Boselli is listed as being the president of the Diocesan Commission for the Liturgy as well as a member of the Diocesan Commission for Sacred Art and the Ecclesiastical Cultural Heritage (“…i Beni Culturali ecclesiastici”). 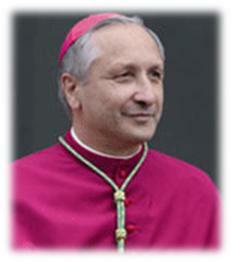 In 2001, Boselli was the Director of the Liturgical Office of the Diocesan Curia. As the Director, Boselli was in a position of having to enforce canon law with respect to the Bishop’s place as the regulator of ecclesiastical discipline in his territory (canon 392 §2). This is because of the close association between private revelation and devotions. From the above information, one can conclude there must have been some considerable concerns with the liturgical life in Montichiari/Fontanelle relative to the claims of Pierina Gilli. In fact, Boselli’s Directory indicates such an association. 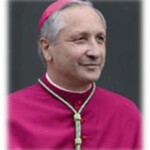 In light of the apparent conflict between Diocesan directives and belief in Rosa Mistica, the intervention of the Vatican’s Congregation for Divine Worship and Discipline of the Sacraments was sought by Brescia’s Bishop. The above intervention came in the form of a letter dated November 16, 2000. The text does not appear to have been released to the public. Nevertheless, the letter became the cause for Boselli’s 2001 Directory. The letter assisted the Diocese of Brescia to formulate norms and directives for the liturgical/devotional life of the faithful of Montichiari/Fontanelle apart from the claims of Pierina Gilli. In a particular way, it is explicitly asked to individuals and groups, which so far are more or less personally dedicated to promote the Marian cult in the locality Fontanelle, to comply with all the indications (“indicazioni”) of the Directory, not to disseminate messages or publications, or to promote acts of worship, or to launch structures that can even indirectly induce the faithful to believe that the judgment of the Church about the so-called apparitions and other extraordinary phenomena, has been altered in a positive sense. To conclude this article, it is readily apparent from consistent documentation that the Church has not accepted as worthy of belief the alleged “Rosa Mistica” apparitions to Pierina Gilli. 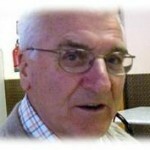 However, the information largely remains in the Italian language. Lack of English translations of this important material may be to blame for the rise of interest in these claims in the English-speaking world. I have contacted Donal Foley and he claims he contacted the Diocese of Brescia who furnished him with a copy of Bishop Foresti’s 1997 Declaration. From there, he says, an acquaintance of his translated the Italian into English. Mons. Vescovo esorta vivamente tutti i fedeli che si dichiarano rispettosi delle direttive della Chiesa a non favorire né con pubblicazioni né con pellegrinaggi la diffusione di devozioni che si fondano su una non approvata interpretazione di fatti né obiettivamente controllati né responsabilmente valutati. Mons. Vescovo rinnova il fermo invito a fedeli e sacerdoti perché nell’ossequiente accettazione delle precedenti decisioni sappiano trovare in altri santuari e luoghi riconosciuti dalla Chiesa la forma migliore per esprimere la doverosa e necessaria devozione alla Madre di Dio secondo i più autentici contenuti della fede e della spiritualità cattolica. Il Vescovo di Brescia confortato dall’autorevole parere della Sacra Congregazione per la Dottrina della Fede, comunica che: a) le cosiddette apparizioni della Madonna Rosa Mistica a Montichiari non presentano motivi di credibilità; b) il culto relativo alla Madonna Rosa Mistica, perciò, non è approvato e non può essere praticato né favorito; c) chiunque lo favorisce, diffondendo pubblicazioni o organizzando pellegrinaggi, non aiuta, ma turba la fede dei credenti inducendoli ad agire contrariamente alle disposizioni della Chiesa. In modo particolare è esplicitamente chiesto a singoli e a gruppi, che fin qui si sono più o meno direttamente dedicati a promuovere il culto mariano in località Fontanelle, di rispettare tutte le indicazioni del Direttorio, di non diffondere messaggi o pubblicazioni, né di promuovere atti di culto, né di avviare strutture che possano anche solo indirettamente indurre i fedeli a ritenere che il giudizio della Chiesa circa le c.d. apparizioni o altri fenomeni straordinari, sia stato modificato in senso positivo. Next Article Working Women: Secular Jobs as Inconveniences or Callings? Oh for the days when this was enough to settle the discussion! Will remember to file this just in case it ever comes up. Mary is called Mystical Rose since the 5th century, it is one of her ancient titles. 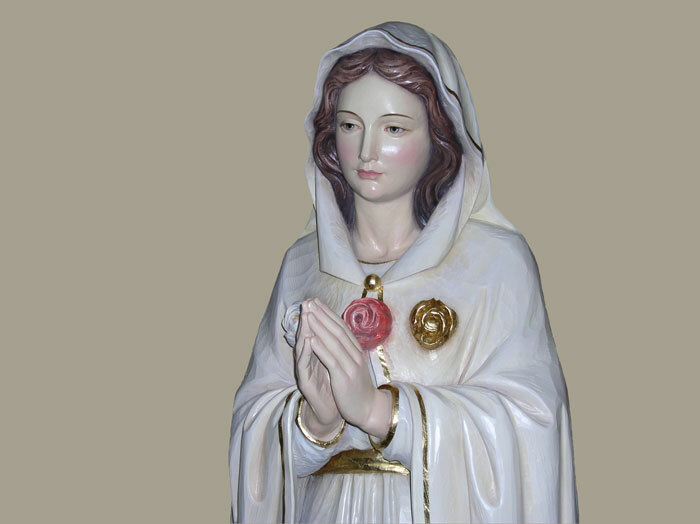 Please do not infer from the reasonable warnings of the Church regarding this apparition that Our Lady should no be addressed in prayer as Mystical Rose or that the 13th day of the month, or roses cannot be of any Marian significance. A canonical note: while these alleged revelations have not been approved and therefore prudence dictates to seek other ways of devotion, one must notice that said revelations have not been rejected yet. There are many of these phenomena that remain in that “middle ground” so discretion and prudence is advised always both in accepting it or rejecting it in haste. I said nothing about the title, only the devotion in the form proposed by Pierina Gilli. Secondly, I am a bit taken aback that you directly contradict the information presented at the beginning of the article. The alleged apparitions have not once, but twice (1984 and 1997) been stated not to have motives for credibility (“non presentano motivi di credibilita'”). Therefore, they are not supernatural. Furthermore, considering that the Diocese of Brescia has had, twice, to regulate the devotional/liturgical life in Fontanelle–and with the backing of the Holy See–in the past 12 years is a further indicator of the Diocesan position. Vassula visions that have been plainly called false. I hope I have been more clear this time. God bless! I understand the Italian text in question and am not questioning the language, nor what can be an implication behind it. What I strongly encourage you to consider is that after Vatican II, the Church has adopted a more “pastoral” language in these affairs. When the Diocese responds in writing, I will gladly look at what it says and make any changes necessary to my position. Kevin, help me out here please. I know Carlos to be a very faithful son of the church, widely and deeply read, and with nothing short of abhorrence for anyone who would attempt to mislead Christ’s sheep. Both of you have a facility with languages and breadth of knowledge that is far beyond me. Yet when I look at the conversation between the two of you, I see that Carlos is finding the communication from the church about this to be — not sure of the right word here — perhaps tentative? Perhaps equivocal? You call it pastoral. And that may be what it is being attempted, but I just don’t understand in what way lack of clarity can be construed as more pastoral than clarity. I think there is a lack of definitive language in many official documents today. It was not my intention to offend anyone. There are three positions (forgive me if I don’t remember the exact canonical terminology) about private revelations: (1) They are approved (2) they are rejected (3) they are neither approved nor rejected. In my humble opinion the language here does not categorically reject the visions of Gilli. Saying that a witness’ declaration lacks credibility is not the same as saying that the witness’ declaration is perjury or has been found to be false. I am sorry if I was careless in expressing myself. I meant no disrespect at all. Please feell free to remove all my comments, including this one, if necessary. God bless. No, Carlos, you are a good person and I there is no offense in your post. I am very direct in these affairs as I have been working with them for at least ten years. Please respond to the message I sent via your private web site. Since the article was written, there was a new document posted (July 19, 2013). Some of the people in my parish have become devotees of this apparition, perhaps they don’t know its status. Thank you very much for this update. It is very important! I had never heard of this before so I was wondering about it. Thank you for providing that official Church position and the references to the appropriate documentation. God bless you! what should I do with my Rosa Mystica statue, I started a devotion to the Rosa Mystica back in January but after reading this, I’m not sure what to do now exactly, lol.. I think you should properly dispose of the statue and cease any devotions in the form(s) inspired by the Rosa Mistica claims. I would then begin studying Fatima and perhaps enter into this devotion. A neighbor of mine received a statue of Rosa Mystica from Montichari. Promptly after placing this statue in their home the family started having a sense of evil present. After a few days they realized it all started when they received the statue. So they decided to burn the statue. Half way through burning it, they discovered that there were pouches of oil, water, and blood hidden behind the eyes and in various places within the statue. These statues are bleeding and weeping because they are boogie trapped. Stay away from this false devotion. Satan can be behind these false apparitions. When a bishop discourages devotion to such apparitions it is for our safety. The prophecy above makes no mention of Mary or Satan. Satan who asked Christ to worship him (Matthew 4) and similarly “Mary” who asked to be worshiped/venerated. The real Mary would not have asked to be worshiped/venerated, no servant of God would (Revelation 19:9-10). I have a statue of Rosa Mystica. Quite honestly, she really helped me foster a deeper love of the rosary, prayer, and penance. However, I fully acknowledge the authority of the Church. While it is clear, I am not to spread devotion to Rosa Mystica. Would it be disobedient to keep the statue displayed in my home? Further would it be disobedient for me to say prayers to her?